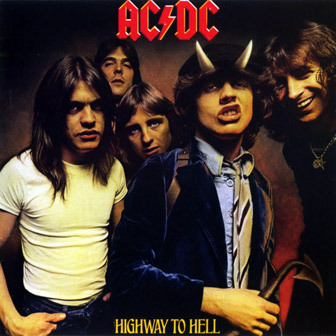 «Highway to Hell» (с англ. Дорога в ад) — шестой студийный альбом австралийской рок-группы AC/DC. Why you're being so unkind? Tell me who would lie with you? Anybody want to hang out with me? And maybe burn me up? I said, "Baby what's the going price?" Layed it out on the line." That's nice, wow! Uh! Oh! Oh! Wooooh! Was that a noise outside your window? What's that shadow on the blind?